During the last few months our engineering team has been hard at work and full of caffeine updating and improving the Justinmind prototyping experience. And now it is here, just in time for summer. Building on our last release, which brought you pixel-perfect responsive prototyping, our latest release lets you design for multiple devices in one single prototype. Omni-channel user flows suddenly got a whole lot simpler. But what else is new in your prototyping tool? Read on to discover all the latest features in Justinmind 8.4. Prototype smooth omni-channel user experiences. Try Justinmind. Users are constantly switching between their mobile and desktop devices when using digital products. It’s vital that your prototype reflects the complexity of users’ omni-channel lives. Luckily, Justinmind 8.4 puts the flow into user flows. You can now combine screens for web, mobile, tablet and other devices within the same prototype and have your users move seamlessly through the entire product flow. No need to create separate prototypes any longer – just add a new device and get designing. Our new feature allows you to design and validate synchronized interactions between devices. Your users will get a 360 degree perspective, no more prototype hopping. Defining omni-channel prototypes is simple. 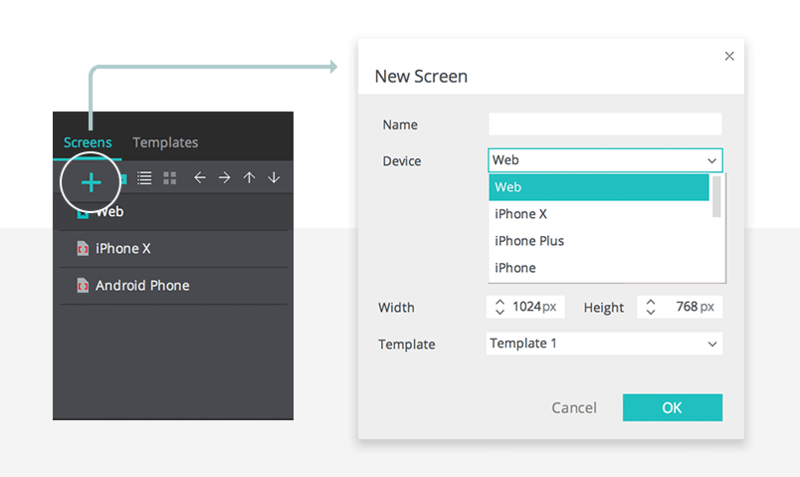 If you’re making a web prototype, create a new screen within that prototype. A modal will appear where you can adjust the dimensions of the screen according to the device you wish to use, or you can select from a range of pre-defined devices. And as for specific widgets, you’ll be able to add the UI libraries for your chosen device from our range of UI kits. Every screen in your prototype will have the relevant widgets no matter the operating system. With multi-device prototypes, you will be designing with the user at the front of mind every step of the way. There are many ways for a designer to explain an idea to someone. It might be a quick sketch, a low-fi wireframe or fully interactive prototype. Scenarios are another way to communicate what your prototypes are about and can be used in tandem with your prototypes. User scenarios are narratives of how a user might interact with a product. In this release, we’ve given scenarios a boost so designers have an improved means of communicating workflows, ideas and iterations to their team without having to rely on lengthy documentation. 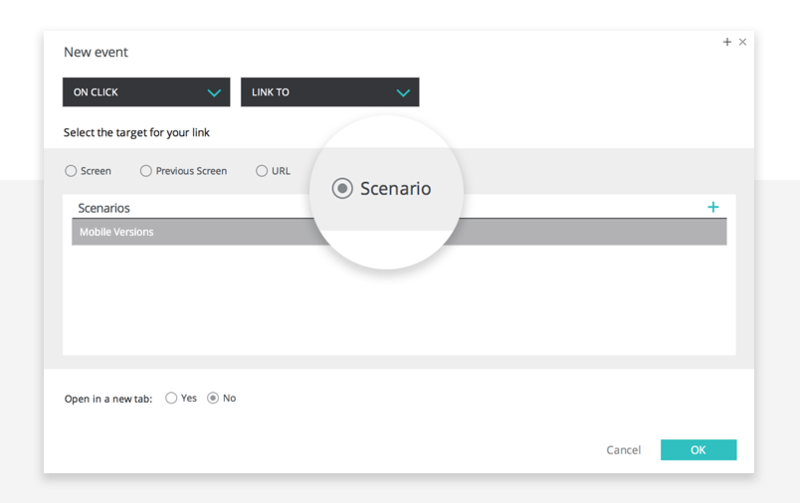 In Justinmind 8.4, designers can now link scenarios to any UI widgets they’ve created. By incorporating scenarios directly into the prototype simulation, reviewers will have a more comprehensive and detailed understanding of the prototype, removing the need to jump to different documents. Goodbye documentation, hello all-in-one prototyping. Giving designers full control over how they use Justinmind is important. We know that when you make your toolbox work for you, you can create awesome user experiences. In our last release, users were given the ability to set specific percentages for the position of their UI widgets, so that they would respond responsively depending on the device being used. In Justinmind 8.4, we created a margin section in the Properties palette. Now you have even more control over the position of the UI widgets on your canvas by giving them a margin, in pixels. You can use this feature to create space between UI widgets and your desired margin will be maintained no matter what size the device or dimension the screen. 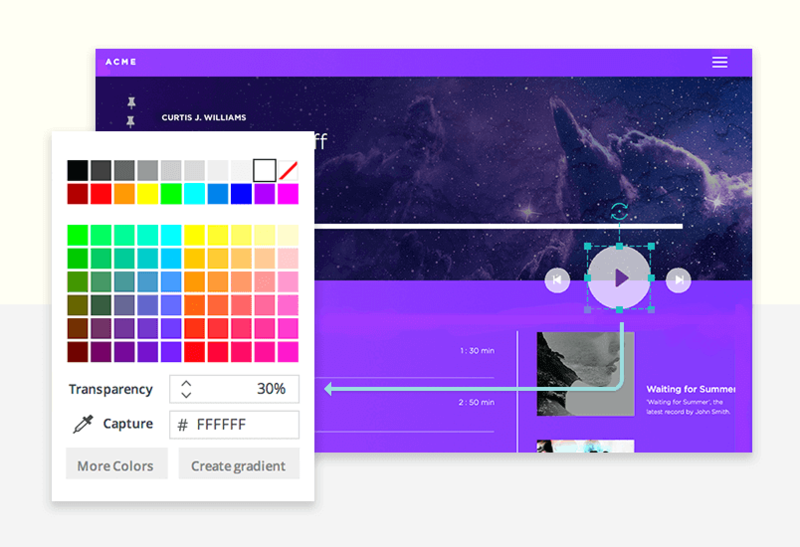 For even more customization and control of your prototypes, you can now change the opacity level of colors in the color section found within the Properties palette. When you drag and drop a UI widget on to the canvas, under the Background section in the Properties palette, you will discover a drop down menu which lets you set the percentage of transparency. For greater comfort when designing and creating prototypes in Justinmind, you can now drag and drop your canvas to resize it how you want. No longer do you have to manually input your desired dimensions, simply click and drag to resize the canvas. And don’t worry – if you have pinned widgets on your canvas, they’ll stay exactly where you want them to even when you make the canvas larger or smaller. Remember, it’s responsive prototyping. Our Android UI library is up-to-date and fully responsive. Now you can created faithful Android designs that respond to any device, at any size. Don’t waste time re-creating UI components and hoping for consistency. Speed up your workflow and create web and mobile applications using our Android UI library. Advanced settings for Change Style events. Simulate web prototype screens in full width or with the size defined in the canvas. Organize already grouped UI elements into sub-groups. Developers will only see the prototypes they have been invited to in their online accounts and the Justinmind mobile app. Reviewers now can create a username and password for the Justinmind mobile app using a link found in the invitation email. Drop downs now work properly in simulation. On Toggle rotation now works. Fixed scroll when simulating URL widgets on mobile devices. Responsive tables saved as widgets now keep their responsive properties. Sukhumvit font can now be embedded.